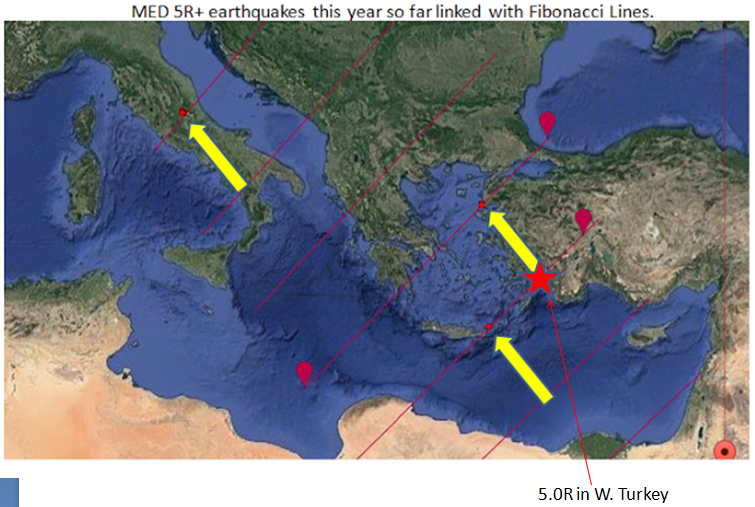 35 minutes ago we saw this 5.0R event in Western Turkey. Ironically minuts ago we drew and posted the >5R events in the MED Region and we showed the Fibonacci lines nia them. Actually this event in Turkey is falling on the slanted Fibo line we drew in that post.